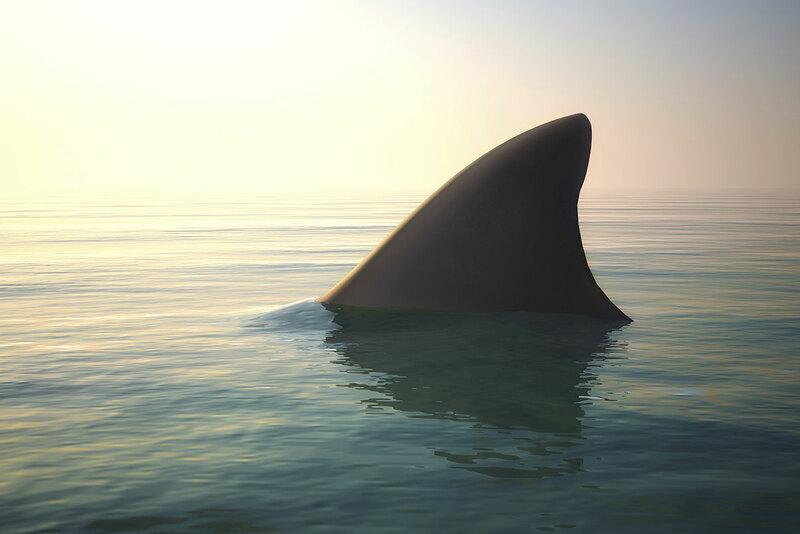 You're gonna need a bigger boat - personnel strategy ideas. This summer marks the 40th anniversary of “Jaws,” the big screen classic that made Steven Spielberg a household name, generations afraid to go back in the water and two notes played on a tuba the scariest music, like, ever (unless you count listening to your child practice first-year violin). Before you start wondering if we’re going to say that marketing is like swimming with the sharks, hold onto your floaties. Believe it or not, “you’re gonna need a bigger boat” reminded me of some of the conversations we’ve been having around Rare Bird lately. It’s becoming more and more common for us to talk not just about what we’re working on, but how we’re working on it. When you start to identify needs that might not always be met the way you’d ideally like for them to be met, it’s tempting to flirt with the idea of expanding staff. Throwing a new person at a problem, however, comes with its own obvious inherent risks: increased costs, learning curve and, of course, meshing with the culture (or a state of enlightenment we call “achieving Bird Brain”). But adding staff — or making your boat bigger, if you will — is often the out-of-the gate default idea. It’s common to believe the only answer is to get bigger. Because we’re all already maxed out, right? But are we, really? A close examination of who is doing what, and how we operate, can reveal that there is more capacity than previously thought. And it’s not just allocation of work; it’s the right allocation of work. Are we fully utilizing the talent at hand? Are we making sure that everyone has the opportunity to learn and grow — and teach? Are we in danger of fostering silo thinking instead of having pasture-raised ideas? “So, how you doin’?” We do weekly check-ins with intent (in addition to day-to-day ad hoc monitoring) at our Monday morning staff meeting — which we do a pretty good job of keeping to a not-too-hot/not-too-cold/just-right 30 minutes. It’s a good time to go ‘round the table, talk about what we’ve got on our immediate plates, see if there are imbalances and where we might be able to shift work around. It’s also an opportunity to bring up items that have been on a to-do list for longer than their anticipated shelf life and make sure they don’t fall between the proverbial cracks. Play matchmaker. With growth over the years came more clients and more tasks. As we added developers and programmers and designers, things like email and SEO/SEM tended to stay in Jim’s hands — but he was getting busier on the client relationship side. So when the conversations about how to handle this came up, we decided that we didn’t need to hire anyone — we needed to find those existing Birds who would welcome additional responsibility in areas that appealed to them. Client relations was clearly Jim’s forte, so passing those other efforts to staff who are perfectly suited makes for a happy ending. We’ve been doing this a long time now, and if we’ve learned anything it’s that we need to keep learning. Working smarter, not bigger, is how we make happy clients and happy employees. And if it comes time to get a bigger boat and add new staff, we’ll be perfectly positioned to do so. In the meantime, we’ll continue asking the sometimes hard questions, making sure that best practices don’t sit around in their Best Practices trophy case gathering dust and getting soft around the middle. And, of course, we’ll keep swimming. But maybe just in the pool . . .
We’d love to hear about your “outside the boat” ideas. Please share them here on our blog, or send us an email. This article was posted in Uncategorized and tagged business consulting, sharks. Bookmark the permalink. Follow comments with the RSS feed for this post. Post a Comment or leave a trackback. Great article and advice. I will definitely work to implement some of these ideas at our office. Thanks Lori! 1) Clean Up Day – The last Friday of the quarter employees are given permission to use up to four hours to clean up. Their desk, their email, files on their computer, files on the server – those things that are always left because they aren’t seen as productive work. In an environment as goal-driven as ours, people need permission to not be productive. Of course, that’s a misdirection on my part, because it is extremely productive to clean up. It resets the work area, resets projects, resets the mind. They come back to work on Monday with a sense of relief because those nagging things have been handled, and are MORE productive because of it. Plus, they get a free lunch out of the deal. Feeding the body. 2) Whacha Working On – A practice that’s fallen by the wayside, but I intend to relaunch, is asking my developers, “What would you like to work on?” Once a quarter they had a day that was like paid time off, in the office. A day to work on whatever they were interested in, a day to hone or gain skills they otherwise wouldn’t take the time for. Sometimes it was to solve a lingering issue that wasn’t a problem, per se, but wasn’t written as elegantly as they’d like. Sometimes it was outer edge stuff that we would never use on our sites, but feeding the mind is just as critical as feeding the body. I’m going to be “that guy” that replies in an old thread — just now stumbled upon your comment — I love this idea, Marylee! I’m going to highlight & re-post this in one of our RB Slack channels.